Cement Quay - Steam Style! nevard_120927_CQ_IMG_0257, a photo by nevardmedia on Flickr. Cement Quay dates back to 2006, and after several months not doing a great deal, the September of that year saw nearly everything take place. Scenics can in fact be very quick to do, the basics here only taking a couple of days. Further detailing like weeds and extra static grass being added well after the layout's first outing. Those who have seen Cement Quay will know that it's usually operated as a present day layout with Class 66, 59 and 37 locos in current liveries, but I've been toying with the idea of portraying it in the last decade of steam with a smattering of diesel power too. Apart from swapping out the LaFarge branding on some of the buildings and the addition of a few period lights like he standard to the right of the loco it's quite easy to backdate industrial locations like this, if only temporarily. Cement Quay hasn't been on the road since 2009, for no reason other than I have several layouts to rotate through, and that there's always something new on the layout front. 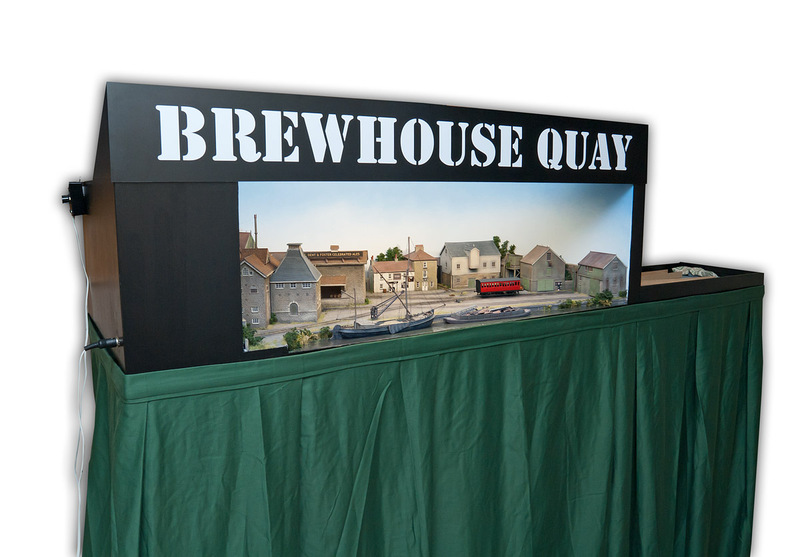 I don't do too many shows a year, 3 or 4 maximum being more than enough, but I am thinking about taking Cement Quay as a steam layout to Model Rail Live this time next year and possibly Railex 2014, again as a steam layout to make it different from previous incarnations. nevard_120922_modelrailLive_DSC_9239, a photo by nevardmedia on Flickr. Sorry it's taken a little while to post a review of Model Rail Live, but the last day or 2 have very much been catch up time. The weekend of the 22 and 23 September heralded the 3rd Model Rail Live at the famous and highly regarded Barrow Hill Roundhouse in Chesterfield. 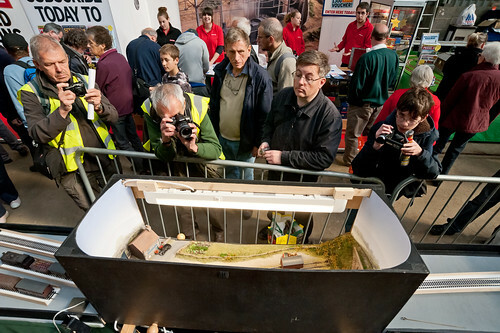 Barrow Hill is of course known to lovers of full sized railways, but for the third year running it was also to host model railways too, something which very much makes it a show with a difference that hopefully can appeal to all the family and not just old men with smelly breath. This year I took the Polbrock along, my little Model Rail project layout that is currently being serialised in the magazine. My quest being to extract those with a fondness of armchairs out of them, alternatively hopefully it will show those who think that a model railway needs a huge space, that in fact something can be built in a small area not dissimilar to a tropical fish tank. I also wanted to showcase modelling techniques that maybe look tricky but are in fact very simple. Despite the layout's tiny size, I will thrilled with the interest it generated from a wide range of different people, and also enjoyed chatting to readers who may have been following my printed jottings. Arne Wharf my OO9 gauge layout was also taken along, but sadly unlike Polbrock which performed really well, Arne Wharf didn't like the slightly dusty atmosphere, the tiny loco wheels clogging with gunge every 10 minutes or so. So, after an hour of so of much cussing I decided to leave the layout as a static exhibit which surprisingly had little impact on the number of people looking at the layout. Luckily the event remained pretty well rain free apart from the last hour or so, just as well really considering much of the event is outside; the end of the show marking the beginning huge amount of rain that has caused all sorts of flooding in northern areas since. All that's needed now is to thank all the readers of this blog who popped by to say hello and had nice things to say about the layouts - thank you!I must also thank Peter Harvey of PH Designs who gave up his Sunday to help me play trains. nevard_120917_polbrock_DSC_9151, a photo by nevardmedia on Flickr. A few more finishing touches in the form of an old Oak next to the crossing at Polbrock. We were gardening today and hacked down a load of dead Ivy - great bases for gnarled tree, with this one rounding off the crossing scene quite nicely after the addition of a little pastiche and flock. 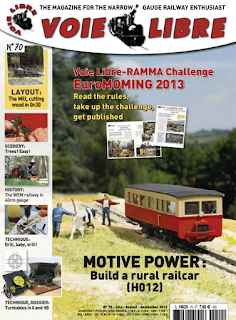 See Polbrock this weekend at Model Rail Live - link top right! nevard_120914_polbrock_DSC_9143, a photo by nevardmedia on Flickr. With just a week to go to Model Rail Live, I'm still performing the final touches to the scenic section of Polbrock with fiddle yards attached. The drape will be hung a tad lower to avoid the crease around the point control. The protective lacquer over the name plaque is still drying, it has now dried clear and the milky streakiness gone. In the background are various other projects in my den! The big knob on the front is part of the point operation, it allowing its control from front of rear. I'm pretty well there, just need to build a few more cassettes. You'll be able to find out more about this project at Model Rail Live 22/23 Sept at Barrow Hill (see link top right) and read the final installment of Polbrock in the next issue of Model Rail. Counting down to Model Rail Live! nevard_120911_polbrock_DSC_8950, a photo by nevardmedia on Flickr. Model Rail Live is only weekend after next on Sat/Sun 22/23 September at Barrow Hill Roundhouse and daftly I'm taking Polbrock and Arne Wharf to the event so both layouts are currently set up to tinker with. Arne Wharf which dates from 2003 is 'ready to go' and will be displayed at the same height as Polbrock on the left, but Polbrock still needs another fiddle yard to make it operational. I've so far only finished the right hand one (read all about it in Model Rail 175 out in 3 weeks or so), but still need to cobble the left hand one together. I also need to sort out the wiring in a more secure way than twisting bits of wire together to get it to work which is the current set up! The trestles will be hidden behind a pleated dark green drape in the time honoured fashion, in fact it will use the same drape I use for all my layouts. And on that note I've just reminded myself that I'll need to get some more Velcro to attach it. Much like model shops, haberdashers are now few and far between, so I'll need a 30 mile round trip just to get that. nevard_120909_polbrock_DSC_8930, a photo by nevardmedia on Flickr. The fiction is that the above photo was taken half a century or so years ago as Midland 3F 0-6-0 No 32316 let off a good display for the photographer as it ran forward over the crossing before reversing its load into the siding at Polbrook Gurney Colliery Halt. 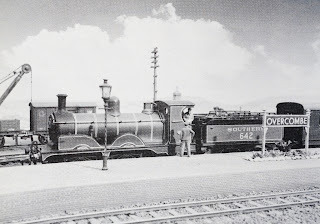 This ex-GWR line was connected to the SDJR at Midford during WW2, so from time to time engines from the Bath to Bournemouth line could be seen in action. This photo has that late summer / earlier autumnal look, the soft hazy sunlight breaks through as the mist rises to reveal a warm coloured and mature landscape of soft greens, yellows and browns. September is very much my favourite time of year if the weather is good, I enjoy the colours and light, and the days can still rival August for heat even though the evenings start to draw in a little earlier. If you get up early and go for a walk, dew makes ones boots temporarily shine and the air has that wonderful fresh scent. The cool morning soon warms up, but not too much to make that walk in the country hard work. The hoards of holiday makers have gone home, so the countryside is a little calmer, less hectic thus can be enjoyed more comfortably. I like to depict this month in my modelling, preferring the softer colours to the brighter greens of the middle of the summer. On a connected note, it's interesting how we nearly always tend to model miniature landscapes with trees in full leaf, and only the other day came to the conclusion that summer far easier than building a winter landscape. For starters a winter leafless tree would be very time consuming with all the delicate twigs and branches that are normally covered with leaves. To model that you'd need to use super fine multicore cable split and formed, with hundreds of carefully manipulated strands just for one small tree. I digress, but such would certainly make an interesting project - another one to do before I die I guess, or at least add to the never ending list of future projects! Modelling Trees by Gordon Gravett could provide the answer. Voie Libre - In English! I've been a huge fan of Voie Libre for many years and even had Arne Wharf featured in it with my random scribbles translated so expertly by Geoffrey Nickson into a far more eloquent French. My knowledge of French like most Brits is pretty appalling, however I can fumble through the magazine with a free dowloadable separate English translation from the Voie Libre website. I quite like this because I'm slowy learning the language of toy chuffers in French/Franglais. Now for the eye Pad generation this delightful magazine aimed at modellers of all things narrow gauge is available in English, not as a separate download to the magazine, but THE actual magazine - all for a modest £3.31 which is about the price of a pint of bitter in Surrey. Real Skies - now't new! MRC_Oct85, a photo by nevardmedia on Flickr. I have to thank fellow modelling and blogger David Smith for the catalyst for this post, his recent blog post linking to a website that sells old magazines. Believe it of not I've been after a copy of the above magazine since the mid-1980's, so I must apologise to David for his link now pointing to a 'sold' page for the above issue! 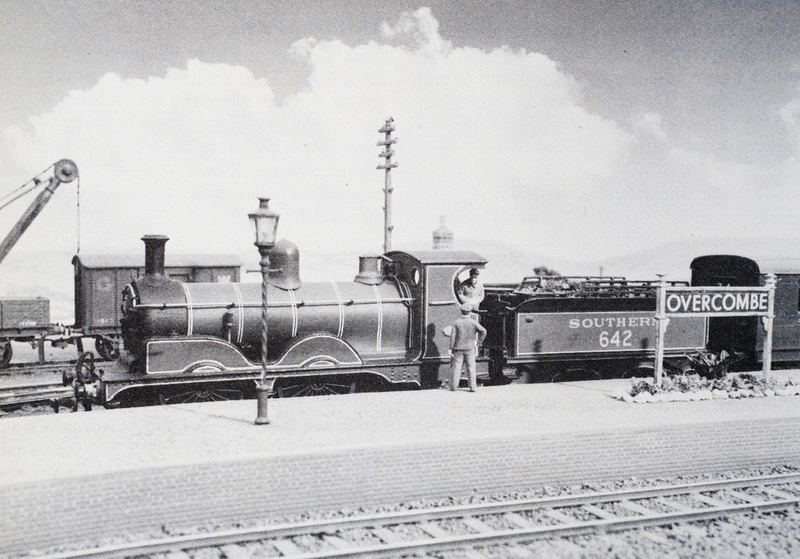 In the summer of 1985 a small group of us were to be seen on Sholing station platform with a model railway, several large sheets of card, white paper, a tripod and camera. We must have been on the platform for at least 3 or 4 hours much to the amusement of passengers on trains that were passing through and calling at the station. The sun was the 'studio lighting', its position being 93 million miles away meant that its position was fixed, so physically moving the layout to suit the sunlight on the various photos was the only realistic option. In case you're thinking that we simply turned up at a random station to photograph toy chuffers you'd be wrong. for at the time SMRS rented the station buildings off British Rail. Sadly shortly after these photos were taken the club had to move, and BR demolished the buildings, the club moving just down the road. 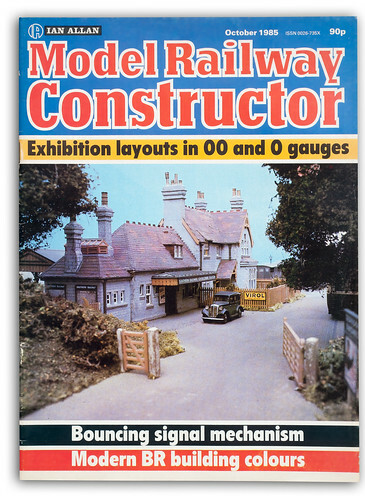 Between 1979 and 1986 I was a member of Southampton Model Railway Society, a fabulous club of talented innovative model makers and the sort of club, which if still on my doorstep I'd still be a member of if it wasn't now 60 miles away. Luckily I still see a few of the members from all those years ago and have been lucky enough to photograph some of their more recent layouts for Hornby Magazine and more recently Model Rail. On that summer's day I was the chosen one to photograph the layout, and at the time I was a student at Salisbury College of Art studying photography and snapping a model railway was certainly a departure from messing about with a Sinar or MPP on 5x4 inch Ektachrome in the college studio knocking up room sets or messing about with 16mm Bolex cameras making short films. For the photography of Overcombe which was one of the club's smaller exhibition layouts, 35mm film was used, the small camera offering alot more flexibility than a big bulky sheet film camera. In those days, apart from the odd colour plate, hobby magazines were mostly black and white, so good old Kodak Plux X was used and processed in the home darkroom. I'm pretty sure I used a 35mm focal length wide angle lens, it offering a reasonbly natural view not disimilar to the eye and oddly enough is still my main choice of lens for layout photography. Model railway fanatics tend to think that replacing flock wall paper, flying ducks, garage walls and ceilings with a little 'sky' is something just from the digital era, and indeed it mostly is. The photo here is a traditional wet print, and halfway through the printing process a negative of a summer sky was swapped for the model negative to get the result here. I'm not sure if I was the first to do this though, but I do recall at the time being keen to do something different as well as blocking out the location the layout was shot in, but with hindsight it would be quite fun to see the full sized railway station in the background! The colour cover shot was more simple, that was good old Kodachrome 64 and I'm sure I've seen the slide quite recently so might well pop it into the scanner just for old times sake along with some of the other colour layout shots taken than day. nevard_120901_pbcs_box_DSC_8676, a photo by nevardmedia on Flickr. In preparation for the Polbrock extension and move to North Somerset after Model Rail Live (22/23 Sept) I've started to look at some of the buildings. 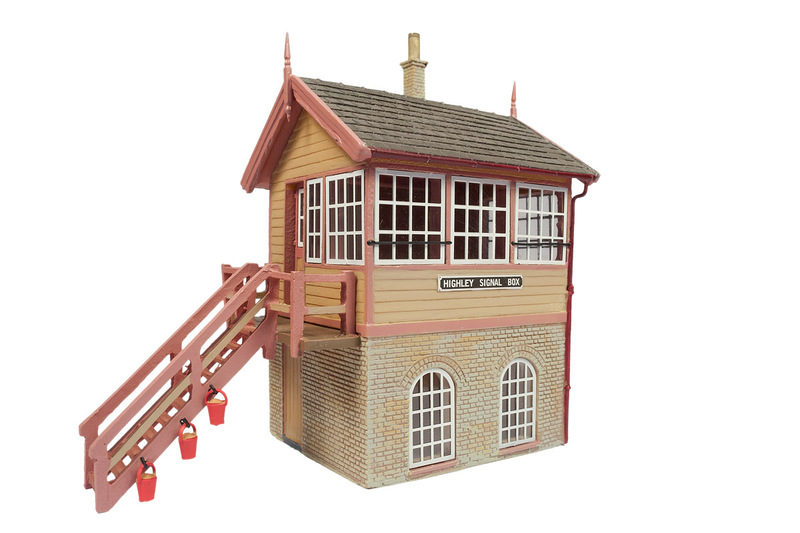 Here we have 'Polbrook Gurney Colliery Sidings', based on a Bachmann Scenecraft 'Highley Signal Box', repainted into BR WR colours and weathered to suggest a box towards the end of its life on a rural backwater. 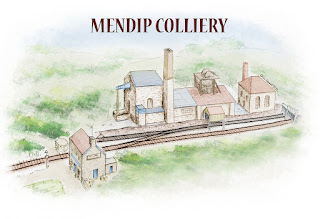 The colliery will finally make use of the buildings from my Mendip Colliery project. The fiction being that the box is only used as a ground frame when colliery trains are due, hence the little loved appearance of the box. I'm tempted to paint out a couple of the window panes to suggest plywood or hardboard replacement as a result of the local Teds using it as target practice with airborne railway ballast or air rifle. 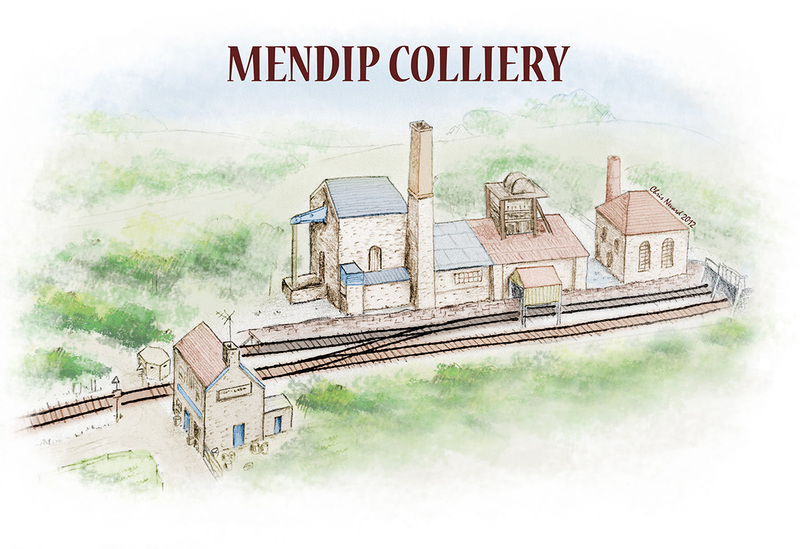 The box will probably be planted where the pilbox is to the left of the colliery. Polbrook Gurney Colliery Sidings is my working title, I may well change the name but for now this gives a nod to Polbrock, with the Gurney being a popular North Somerset name. But as always nothing is cast in stone and things will most likely get tweaked once the building starts. But whatever happens I need to be ready for Railex in May '13! Find out more about Polbrock's move and extension here!